This week Reception student Billy won an award in his age category in the “Echoes of the Silk Road” competition organised by Foremost4Media. 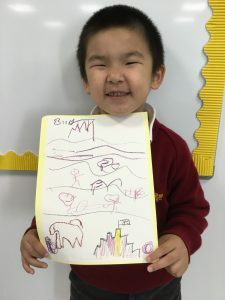 His teacher Lin Laoshi also won an award for best organiser, and the pair have been invited to the awards ceremony at the University of Westminster this weekend. Congratulations to both Billy and Lin Loashi!